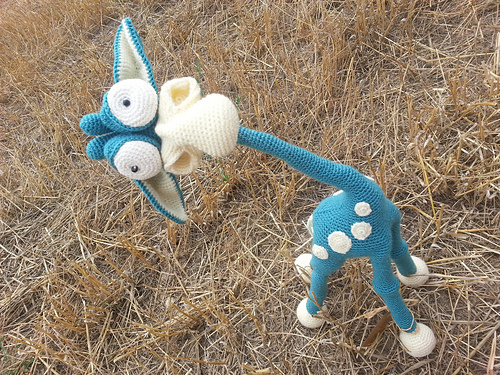 I have a new amigurumi pattern to share with all of you. 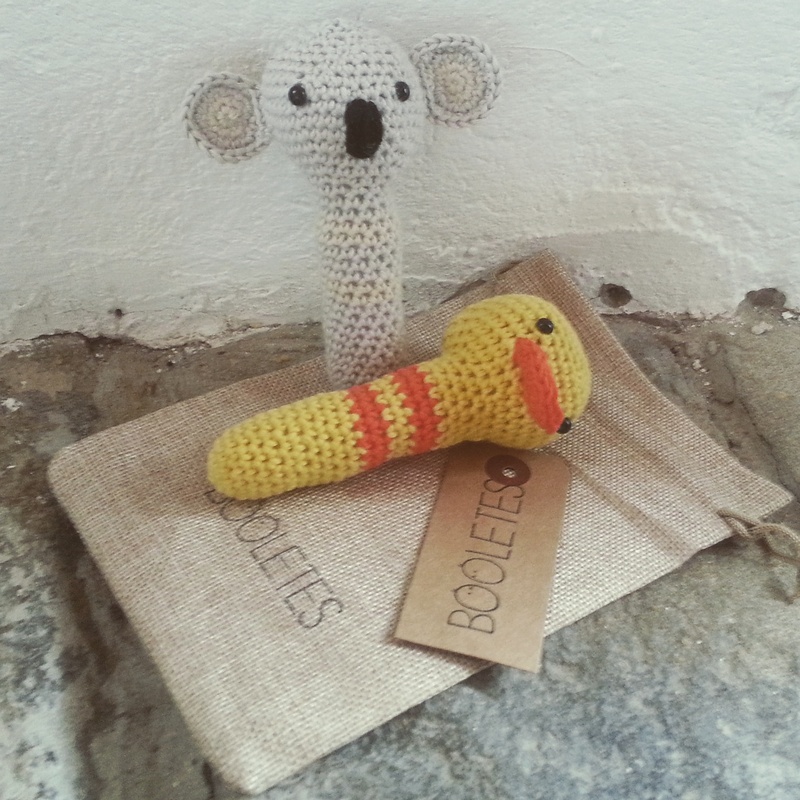 It is an amigurumi rattle for babies. 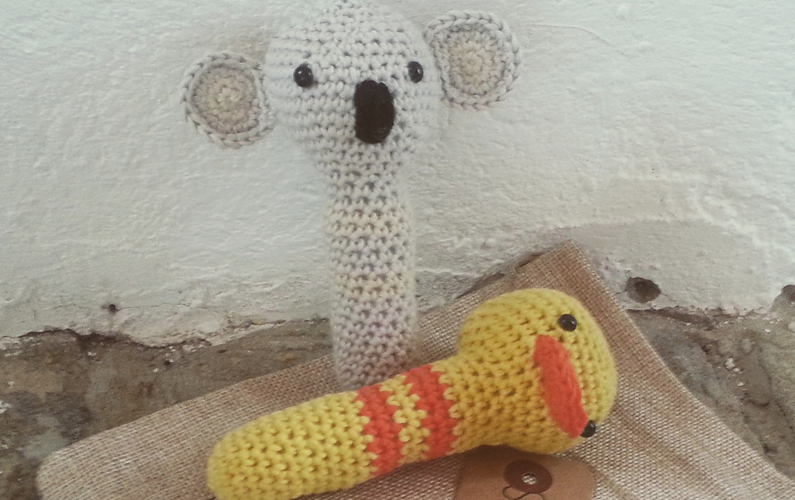 You can choose to do the duck or the koala…or both! They are really easy to crochet. hope you will have fun with this ones! Let’s crochet! Now we change color to yellow and we start the head. Between round 27 and 28 add the safety eyes. Let 7 holes betweens eyes. Fill the body and head with cotton or similar. Do not stuff very tighlty because it has to be a softly rattle for babies. Add a jingle bell in the head. Doble the circle in two. You should have a dicky semicircle. Sew the borders to close the semicircle. Sew the beak to duck’s head. Between round 24 and 25. Follow the same instructions for the duck pattern. Start with light brown color and to change de color use white one. You can use a thick black yarn for the snout. Sew it up to down between round 27 and round 23 jut like the picture. Sew ears to the sides of the head. Hope you have done it well, in case of any doubt or suggestion (such errata), please contact me.